JD Baxter's letter to St. Nick asks for just one thing: His father didn't make it back from Afghanistan, and JD wants Daddy home again. Saints can do miracles, right? But since last year's letter went astray, JD decides to stow away to North Pole and ask for his miracle in person. 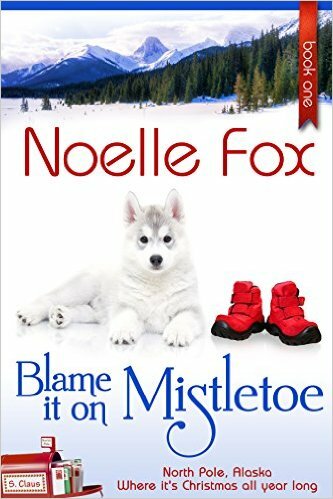 In North Pole, he encounters a postmistress who looks exactly like Mrs. Claus, a man named Rudolph with a red nose and a herd of reindeer, as well as enough toys, candy and Christmas cheer to make anyone feel good. He just can't find St. Nick. Abby Baxter has spent the year since her husband's death trying to hold on. When she discovers her son is missing, her entire world trembles- until her husband's best friend appears at her door, offering a steadying hand. Frank Machado couldn't save David Baxter's life in combat. Worse, for years he's been secretly in love with David's wife. Now that their son is missing, Frank is determined to see the child back in Abby's arms. But during their unpredictable, impulsive trip into the wilds to search for JD, the problem becomes staying out of those arms himself.